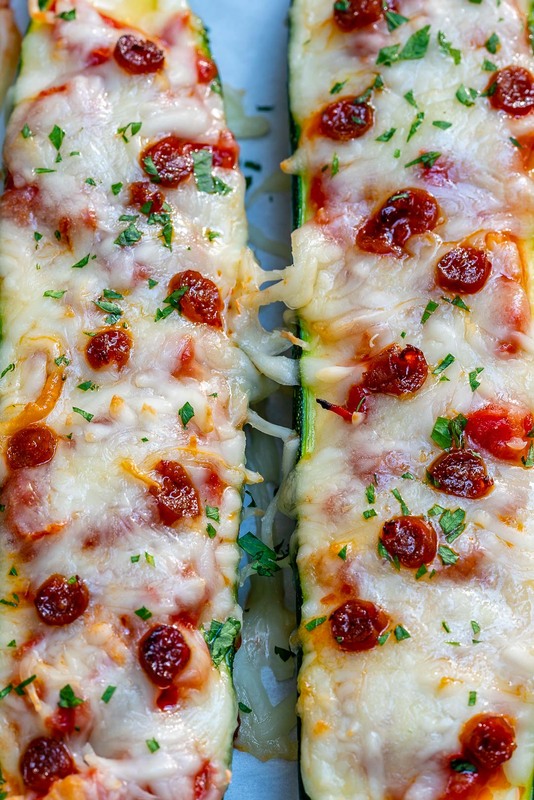 THE Best Pizza Zucchini Boats Ever for a Clean Eating Night In! These are truly the BEST! 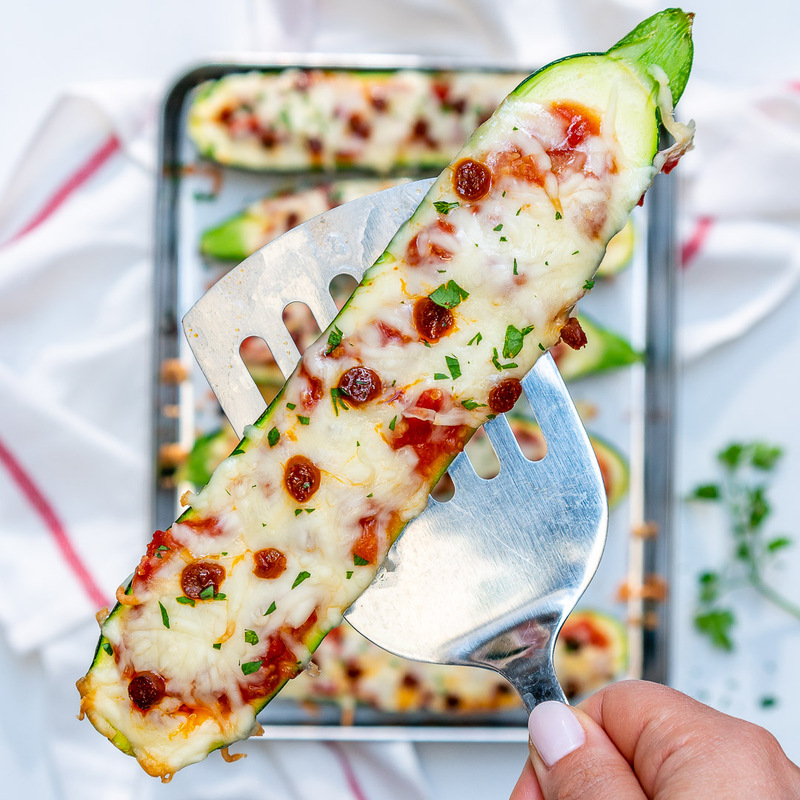 Use a spoon to scoop the seeds and center out of each zucchini half, leaving a ¼ inch thick zucchini boat as shown. 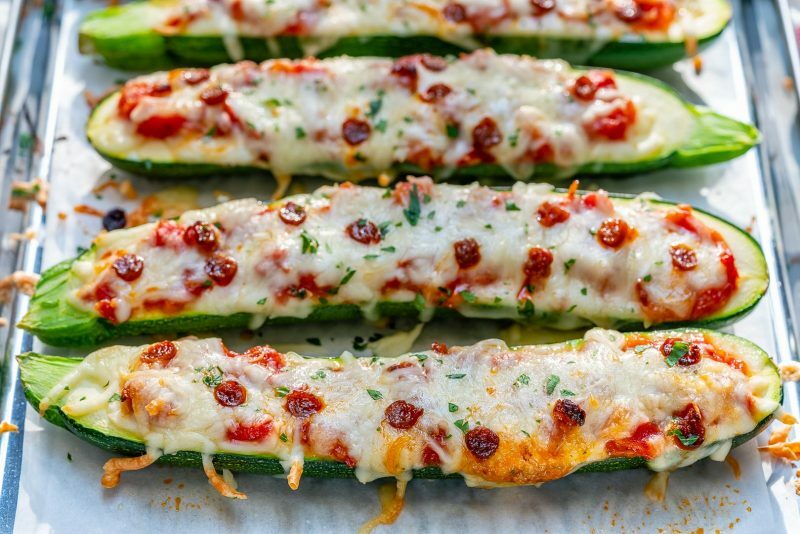 I like to sprinkle the zucchini boats with just a touch of garlic salt, then spoon the warmed sauce into the boats evenly, and top with mozzarella, and finally the mini pepperoni. 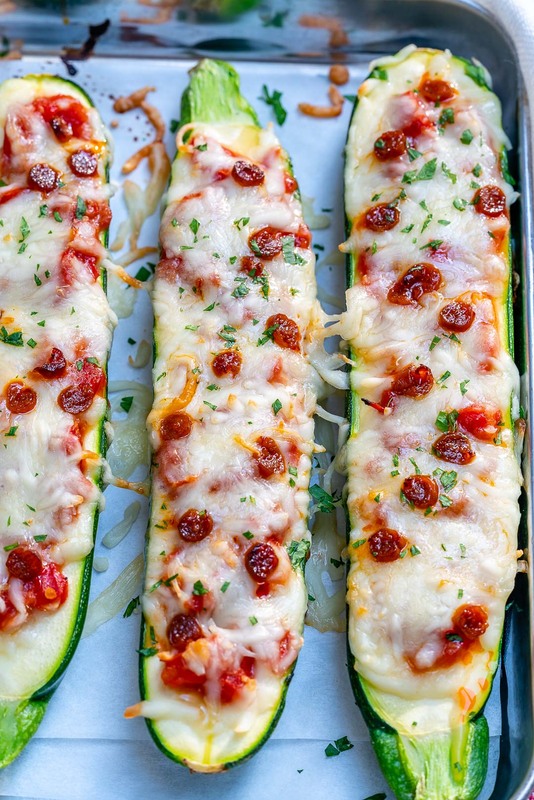 Bake in your preheated oven until zucchini is tender and cheese is golden, about 15 minutes. Garnish with fresh basil, or parsley and enjoy! These are SUCH a fun way to Eat Clean with the fam 🙂 Remember to tag me in your creations!